For Chinese Moms, Birth Means 30 Days In Pajamas The age-old tradition known as "sitting the month" has strict rules. New moms are not allowed to shower, eat raw vegetables or drink cold water. Still, there are some modern twists: Wealthy mothers are paying to stay in luxury confinement centers with round-the-clock supervision from nurses. Culture and traditions relating to pregnancy and childbirth. Part of the "Beginnings" series. New parents Wu Lili (left) and Mo Shiwei hold their 29-day-old baby boy, nicknamed Momo, at the Weige Center in Beijing. The new mother is participating in the Chinese tradition of "sitting the month," in which she follows certain rules, such as not going outside, not washing her hair or showering, and only eating certain foods. The Weige Center provides luxury accommodation and a full-time nursing staff. Wu and the baby haven't left this apartment since she arrived from the hospital, and she has only had sponge baths since giving birth. A nurse tends to baby Momo. All of the nurses at the Weige Center have at least one year of experience working in hospitals. Here, they work either 8- or 12-hour shifts. The nurses use dolls to teach new mothers and fathers everything from how to change a diaper to how to massage the baby. "Sitting the month" is traditionally about letting the mothers recover from childbirth and restoring balance to their bodies through a special diet. At this luxury center, nurses take over when the babies fuss. The Weige Center is run out of a luxury apartment building in central Beijing. It charges upwards of $500 a day for its services, including accommodation, six meals a day for the new mothers and a 24-hour nursing staff. 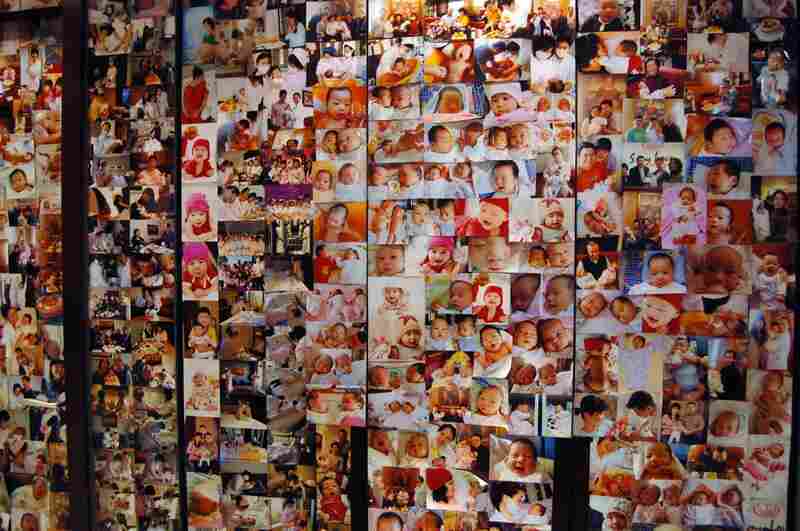 A photo wall in the reception area of the Weige Center shows babies who have been nurtured here. Babies and new moms spend their first 30 days together being pampered by nurses. The clientele are mostly wealthy Chinese, though some Chinese women married to foreign men patronize the center. Imagine not being allowed to go outside, have a shower or drink cold water for an entire month. It might sound like a kind of house arrest. But every year tens of millions of Chinese women submit to this willingly. This is the traditional Chinese practice of confinement during the month after childbirth, with some modern twists. Baby Momo and his mother, Wu Lili, haven't left the three rooms of an apartment in Beijing for 29 days now. It's the last day of their traditional 30-day confinement period. In Chinese, this is literally called "sitting the month," as new mothers are pretty much expected to just sit around in pajamas for a month to recover from childbirth. But there are a lot of rules, and Wu Lili is struggling with them — even though she's on her very last day. The first thing is that you can't wash. The second thing is that the food is so bland. But you really have to persist, and it's very difficult. "I really want to eat fruit and the other things I'm not allowed to eat, like snacks," Wu says. She's not allowed to eat raw fruit or vegetables, or drink coffee, cold drinks or even cold water, which can only be drunk tepid or hot. These rules are aimed at restoring balance to the new mother's body after childbirth. But Wu has had enough. "It's really the hardest thing to bear about confinement," she says. "The first thing is that you can't wash. The second thing is that the food is so bland. But you really have to persist, and it's very difficult." Her feet, she says, are boiling, as she plods around in thick woolen socks and padded slippers. But she must guard against getting a chill; Chinese doctors warn that could lead to joint problems or illness later on. "Sitting the month," or zuo yuezi, is deeply embedded in Chinese culture. It was even mentioned in the 2,000-year-old Book of Changes, or I-ching, according to Zhao Zixiang, Wu's doctor of traditional Chinese medicine. A nurse tends to baby Momo at the Weige Center in Beijing. The center provides luxury accommodation and 24-hour nursing staff to new mothers who participate in the Chinese tradition of "sitting the month," where they don't go outside or bathe for 30 days. "Chinese people are most concerned about balancing yin and yang, in all things," he says. "If the yin and yang in your body are balanced, you won't get sick. If they're out of balance, it's easy to get sick." When little Momo wails, a nurse swoops in to take control, wheeling the baby off to another room. Wu is "sitting the month" as only China's newly rich can. Instead of being at home, she went straight from the hospital to a superluxury confinement center that costs around $500 a day. That buys peace of mind: 24-hour-a-day supervision from trained nurses; a nutritionist; doctors on call to diagnose every baby sniffle; and someone ensuring that the rules are followed at all times — not just by the new mother but by her extended family too. "My mum thinks it's a pity that she can't come in every day to cuddle my baby," Wu says, enumerating the reasons she's been given for this by the center's experts. "It's not very good for the development of newborn baby's bones to be cuddled too much. We don't want him being held too much as he might become too dependent. I pretty much only hold him when I nurse him." And the rules governing diet are stricter still. At this postpartum center, six meals a day are prepared off-site, including a host of special soups, designed to increase the new mothers' milk supply. Typical fare is a soup of pig's feet and peanuts, or an oily carp soup, drunk directly after childbirth, which is supposed to stimulate the milk supply to begin. 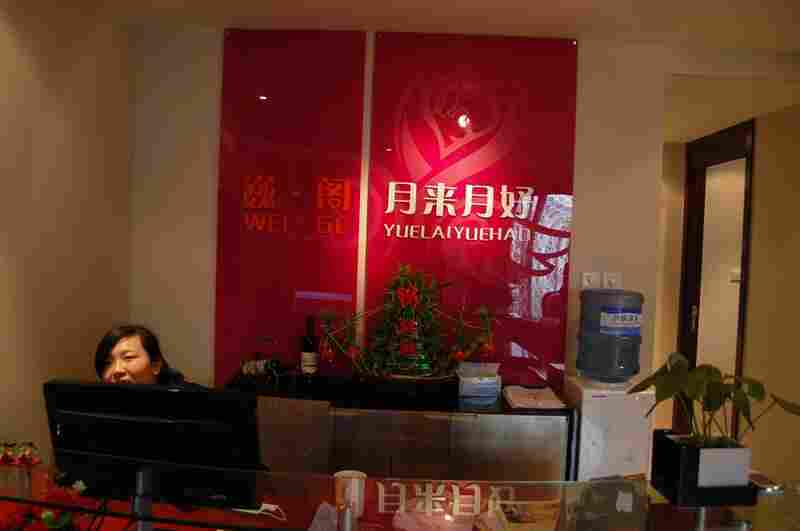 Such postpartum centers are popping up in cities across China. But the founder of this center, Ren Weige, says it's as high-end as they go. "It's impossible that the environment could be more luxurious than this," she says. "We're in a five-star serviced apartment. My [caregivers] are all trained nurses. Whatever way you look at it, either from the software or the hardware, this is already the best that it could be." That even means that new mothers are hand-washed by two nurses, who wipe them down with washcloths steeped in Chinese medicine about once a week. They're not supposed to bathe for 30 days following childbirth, but the strictures of traditional confinement are being bent to the needs of modern women. Some argue that this new generation of Chinese mothers — who, as part of the generation of only children under the one-child policy, have not grown up with younger brothers or sisters — need help more than ever before. "They're kids themselves," says the center's pediatrician, Zhang Jianna. "They don't really know how to look after kids. So they have even more demands. They're just happy that someone knows what to do." A nurse is even teaching Wu Lili how to sing lullabies to little Momo, though halfway through the new mom gives up. At this postpartum center, paid nurses show the new mothers what to do, rather than their own mothers or aunties. And the center has tweaked some of the stricter rules, such as the prohibition on washing. But despite China's warp speed modernization, the age-old practice of "sitting the month" is still flourishing among its young — and making money for its entrepreneurs.